The one-piece toilet is not only very smooth, but also easy to leak and has low noise, and has the advantages of convenient installation and relatively no space occupation. Compared to the split type, the one-piece toilet is easier to clean. This is because the water tank and the base of the one-piece toilet are integrated, and the base has no grooves, so it is easy to clean. 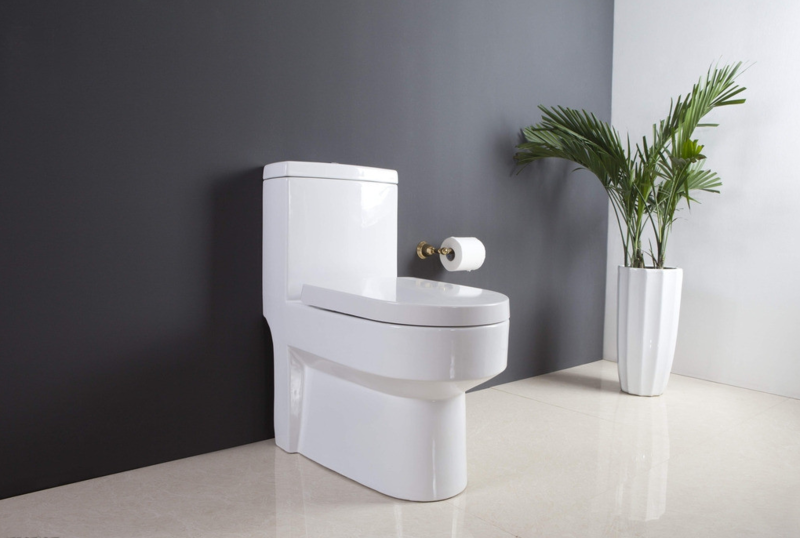 However, the split type toilet has a seam between the water tank and the base, which is relatively easy to accumulate dirt, so it is not convenient to take care of it. When installing a split type toilet, it is limited by the pit distance and is troublesome. However, the one-piece toilet will not be able to, because the required pit distance is short, it can increase the flushing force, so that it has good water-saving performance. Although the split toilet is easy to take up space and is noisy, its price will be much cheaper than the one-piece toilet, because the split water tank and the seat are fired separately, and the pass rate of the kiln is higher than that of the joint. A lot, the corresponding cost is cheaper. In fact, the split type is a more traditional toilet, although its shape is not as conjoined and wall-mounted. But it will be much better in terms of transportation, and maintenance is relatively convenient. If you want to know more, you can click on this link.